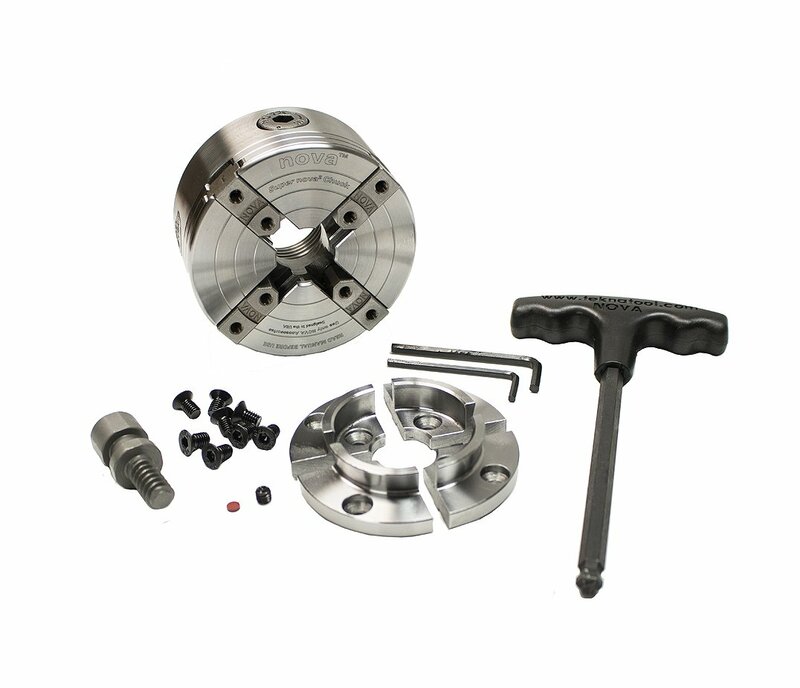 Suitable for a wide variety of lathes with up to 20″ swing. The SuperNOVA2 Chuck is fully featured and one of the most popular on the market today. Unique features such as Composite Indexing Back, Auto Stop, Copper composite Jaw Slides, Woodworm Screw, Comfortable T Bar Handle and 2″ Jaws come standard. Powerful patented Tuff Lock™ gearing with precise, hardened action. Delivers incredibly smooth strength for a solid, vibration free performance. You’ll find yourself turning longer, more delicate stems. Large, uneven and rough work that you couldn’t handle before can be turned with greater security. Takes the same accessory range as other NOVA Chucks. This is an Insert type chuck, it requires an additional insert adaptor to fit a lathe. The SuperNOVA2 also comes in a direct thread suitable for EU market, M33x3.5 (Sku 23062). 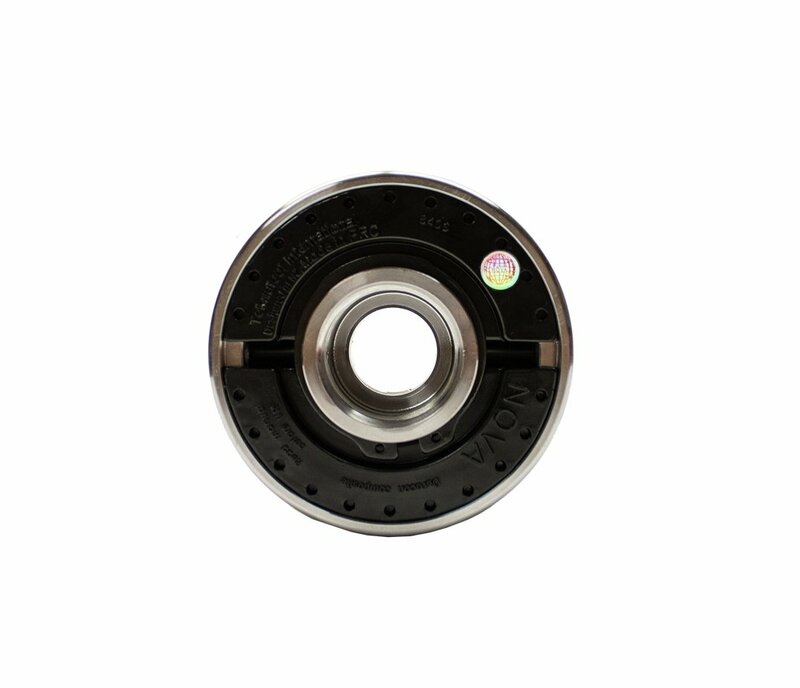 Fully sealed composite indexing backing plate. Made from ultra-tough Duracon composite, reinforced with stranded glass-fibers for extremely long life in tough conditions. Self-lubricating properties. Unique indexing function built into backing-plate. Holographic sticker for NOVA authenticity. Powerful Geared Grip with Tuff Lock™ Technology. Precise, hardened geared action delivers incredible smooth strength. Solid, vibration free. Captured pinion and ball nose Allen key with large, easy grip handle. Rotation arrow for easy reference and fast opening and closing action. Unique, tilt away action, means it can be angled back in operation, away from work. Body made from precision machined 1045 High Tensile Steel with a self-polished metal finish to allow for closer tolerances. Precision machined from solid steel. Common accessory jaw fixing profile – compatible across all NOVA chucks and accessories. Auto Safety Stop Feature. Jaw slides can’t protrude past the chuck body. Common Insert/Adaptor Fitting – compatible across all NOVA Chucks. 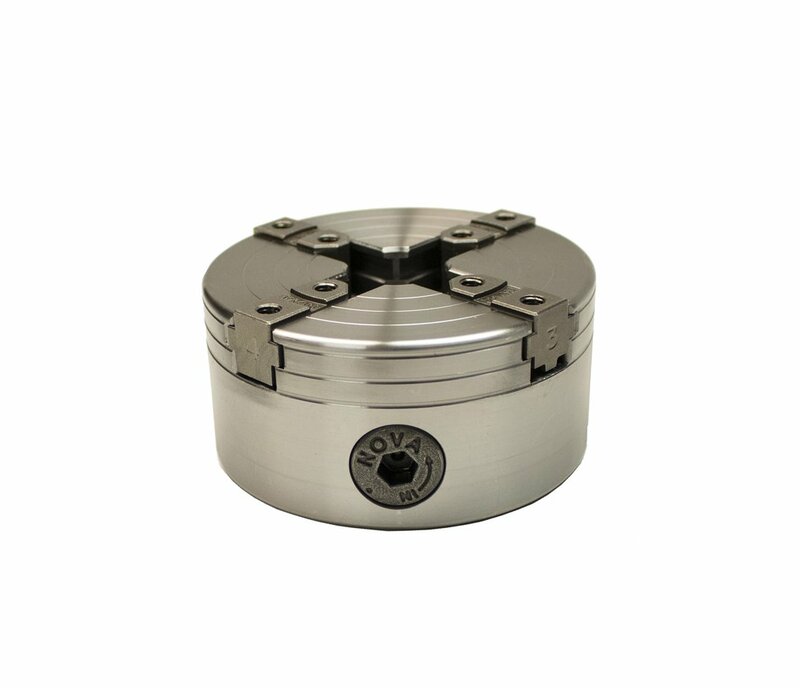 Recommended for power workholding on lathes from 350mm (14”) to 508mm (20”) diameter swing. Up to 736mm/29” diameter bowls (using PowerGrip™ accessory jaws). Up to 482mm/19” length spigots (using PowerGrip™ accessory jaws). Up to 310mm/12″ bowl (using standard 50mm accessories jaw). 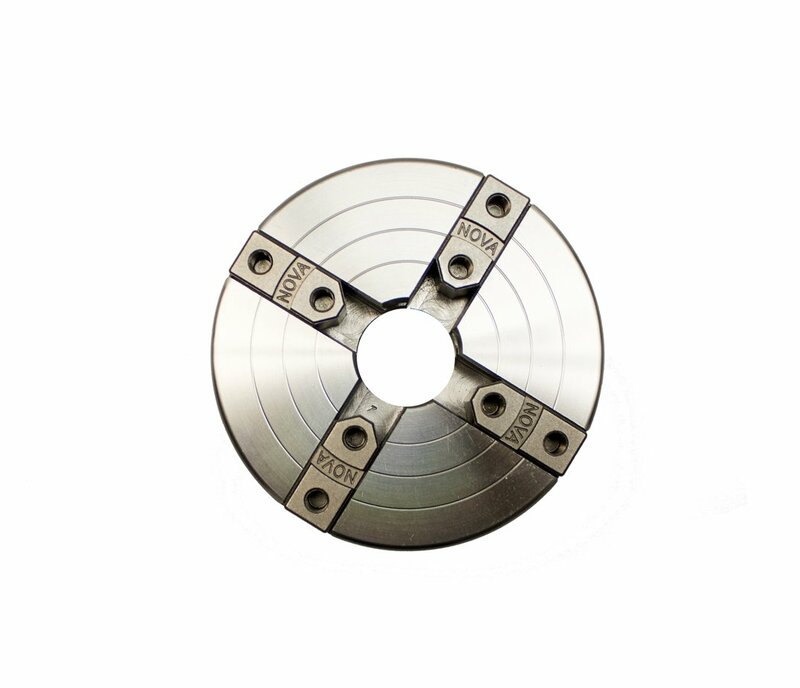 Up to 150mm/6″ length x 10mm/4″ diameter (using standard 50mm accessories jaw).